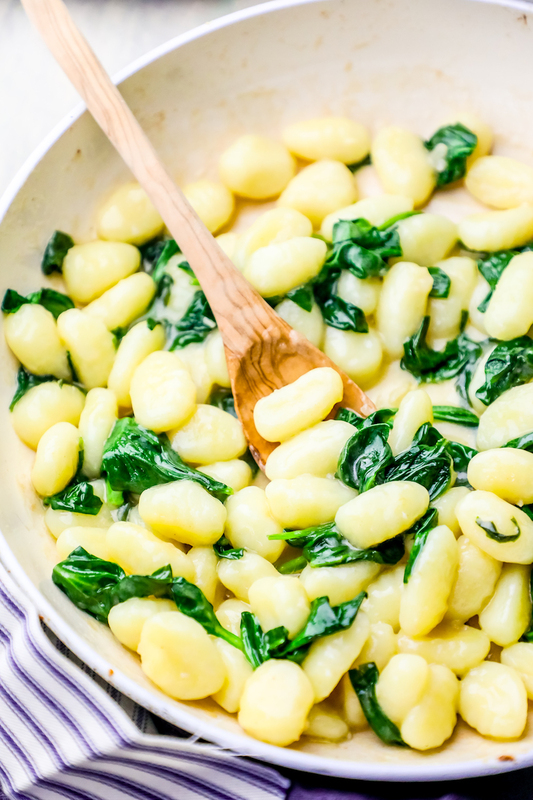 Super Easy One Pot Creamy Spinach Parmesan Gnocchi Recipe is a delicious, quick, and hearty dinner the whole family loves in under 20 minutes! 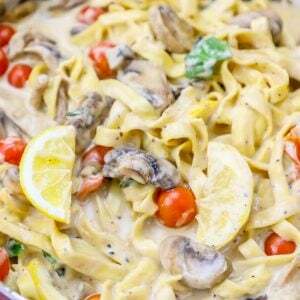 Tons of garlic, parmesan, spinach and buttery cream sauce flavor for a vegetarian pasta dinner that is irresistible. 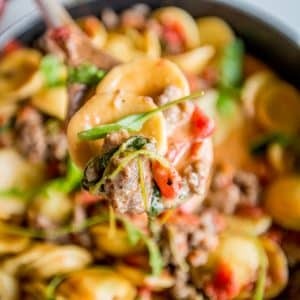 This creamy, delicious, and easy one pot gnocchi pasta dinner is a restaurant quality meal home cooks of any skill level can master – from the fridge to the dinner table in under 20 minutes! 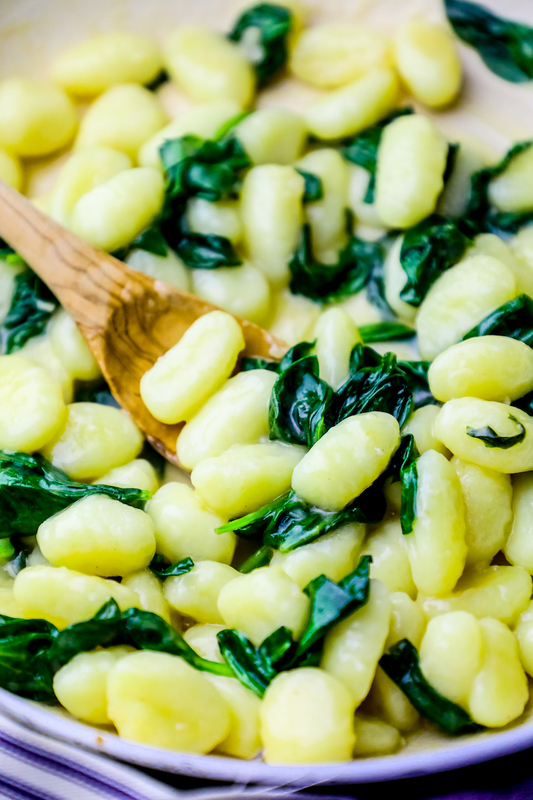 If you love delicious, hearty, and creamy pasta dinners that are super simple and don’t require a ton of efforts or ingredients, this Creamy Spinach Parmesan Gnocchi recipe is for you! 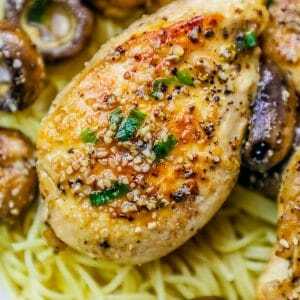 It is bursting with garlic butter flavor, salty and nutty parmesan cheese, and fresh spinach and basil flavors for a dish that is perfect any time of year – as a side dish, for dinner, or served with chicken or fish! If you’ve been wondering how to cook store bought gnocchi – or you’re looking for creamy gnocchi recipe ideas, you’re in luck because this one is a keeper! Just take me to the gnocchi recipe already! 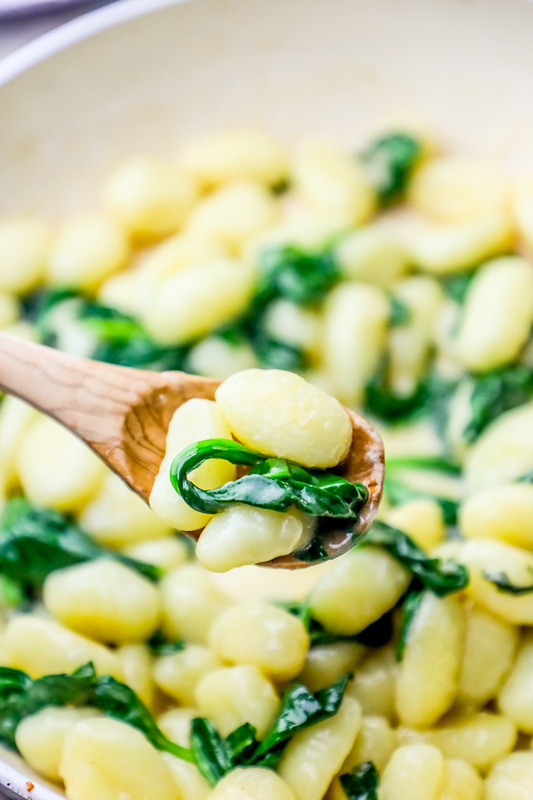 If you’d rather skip my (very helpful, i think) tips and tricks, essential cooking info, and similar recipe ideas – and get straight to this deliciously easy and creamy gnocchi recipe – simply scroll to the bottom of the page where you can find the printable recipe card. 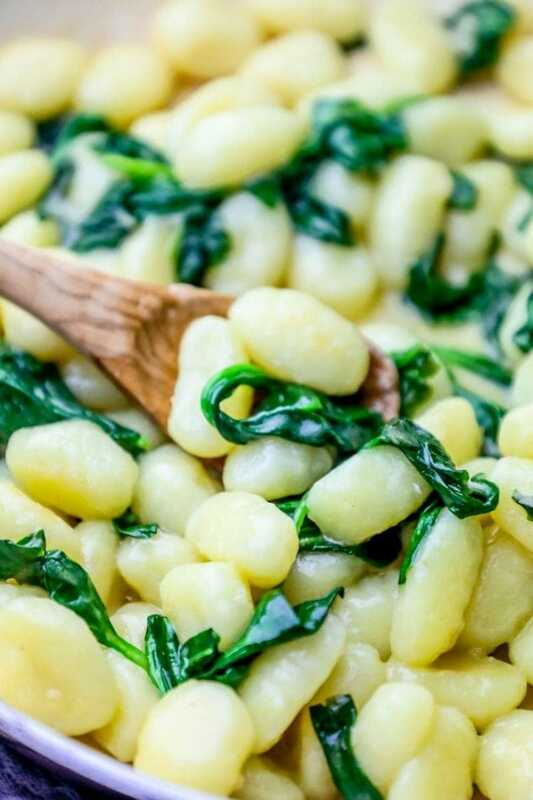 This creamy spinach parmesan gnocchi recipe is super easy – but there are a couple tried and true tools that will make it the easiest dish, ever! 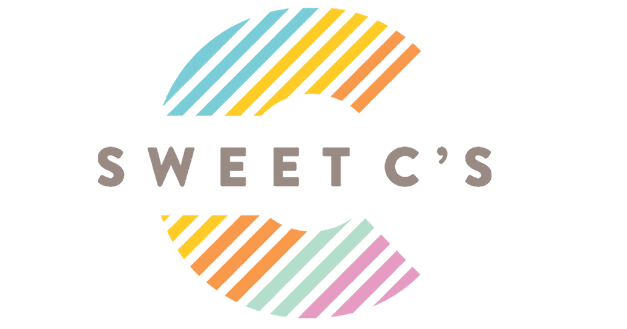 Follow my amazon affiliate links (I get a small commission at absolutely no cost to you which helps me offset the costs involved in running Sweet C’s) for my favorite picks! I prefer ceramic coated pans – they are naturally nonstick and wont leach BPAs or chemicals into your food. Grated parmesan is fine in this recipe, but I prefer to grate my own parmesano reggiano fresh over my gnocchi – it is salty, nutty, and so delicious! Wooden spoon or non-metal spatula. I prefer to buy super soft fresh gnocchi from my grocer’s deli refrigerator – it is faster and easier to cook than the dried variety in the pasta aisle. If you’re cooking gnocchi in one pot, the refrigerated fresh kind is best. 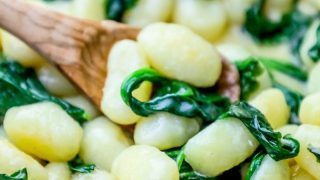 This super easy gnocchi recipe is a restaurant quality dinner cooks of any skill level can make in a jiffy – but there are a couple of tips and tricks that will help take this easy gnocchi dinner over the top! Cook the gnocchi in the same pot. This gnocchi gets some of the creaminess from the starches that release when cooking gnocchi in the pot – don’t pre-boil, let the gnocchi cook in the pot with the rest of the dinner! 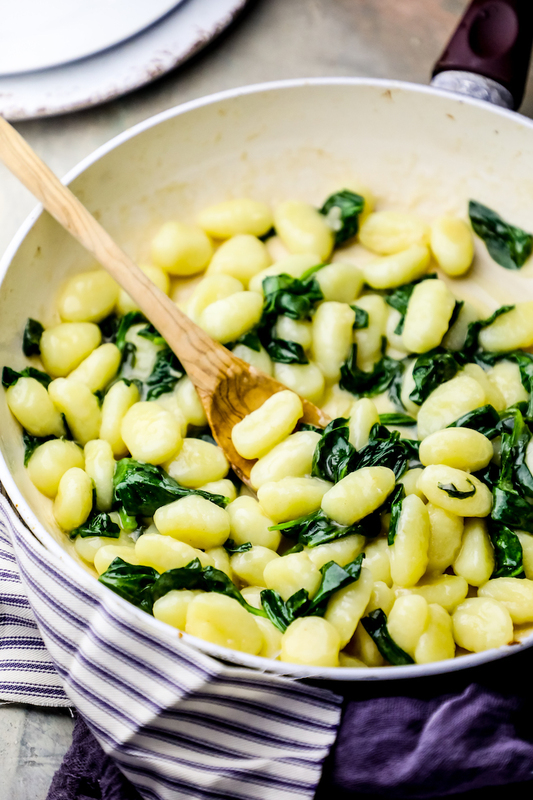 Don’t toss the cooking water out when the gnocchi is done – there shouldn’t be any left to toss! 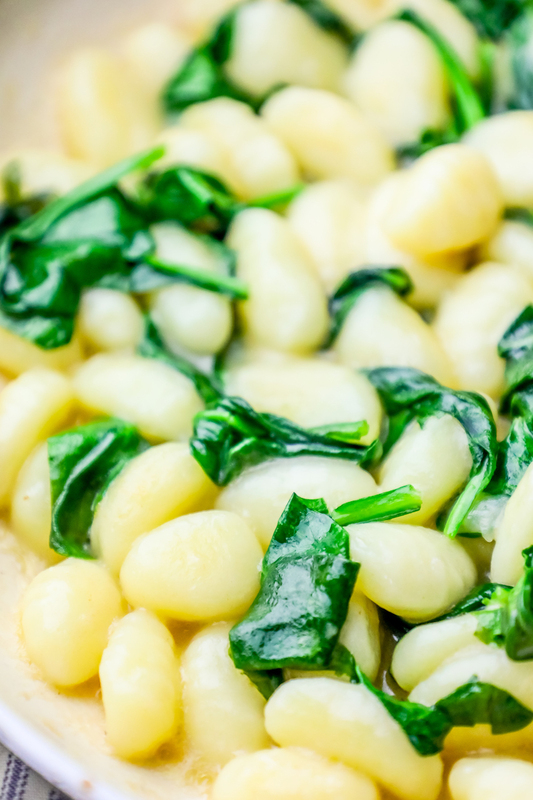 Letting the gnocchi soak up the water and release starch into the pot helps make this dish creamy and irresistible! Since this dish has so few ingredients, fresh herbs and garlic are best. Turn heat off when adding cream. Cream sauce breaks easily – especially when cooking with butter in the recipe as well. Gnocchi is naturally a bit more dense and chewy than thin pastas – but when overcooked, it falls apart and turns to a thick, pasty mush. Cook your gnocchi – but don’t overcook it. If you love this easy garlic butter gnocchi, you’ll love some of my other favorite easy pasta dinners! These are tried and true family favorites that will knock your socks off! And be sure to check out one of my all time pasta favorites – a tuscan shrimp linguine that will knock your socks off! If you love this Creamy Spinach Parmesan Gnocchi Recipe as much as I do, please write a five star review, and be sure to help me share on facebook and pinterest! In a large nonstick pan, melt butter until foamy. Add garlic and cook until fragrant and soft, about 3 minutes. Pour in water and gnocchi. Let gnocchi soak up water and reduce, about 4 minutes on high. Reduce heat to medium and add spinach, basil, salt and pepper and stir well. Let spinach cook down, another 3 minutes, stirring occasionally to prevent burning or sticking. Turn heat off and add in cream, stirring vigorously as you add. Return to medium heat and stir in parmesan cheese. When parmesan is melted and cream sauce is thick, remove from heat and serve immediately. Me and my family love this! I have even made it with broccoli and peas when I didn’t have spinach. 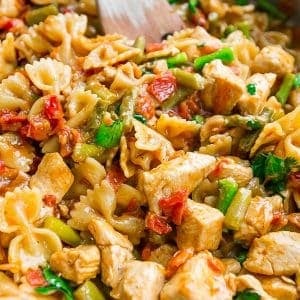 I always make a double batch and never have leftovers! Wow! 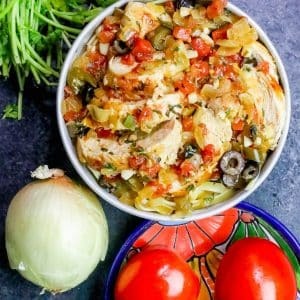 nice recipe .It looks so tasty .Thank you for sharing.I enjoyed a lot by visiting this blog .I love to know more new varieties in recipes .Hence I got many new varieties from this blog .Looking forward for more post like this . 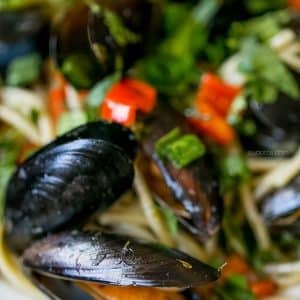 How much water for you use for this recipe?